Grampian athletes were celebrating success this month after a series of medal-winning international performances across a number of events. 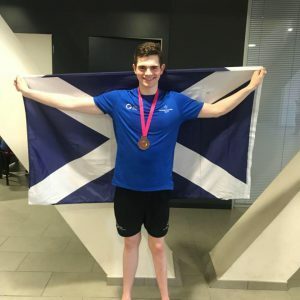 Lewis Clow (Athletics) and Rhys Gill (Swimming) travelled out with Team Scotland to the CPISRA World Games at the beginning of the month, and certainly didn’t disappoint! 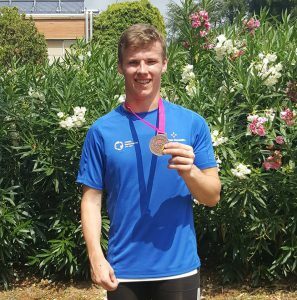 Lewis, who competed in the Games for the 2nd time, took home not only a bronze medal in the T37 Long Jump but a PB and new Scottish Best in the T37 200m event. Newcomer, Rhys, claimed bronze in the S9 200m IM event – which is an incredible achievement, especially as this was the first time Rhys had swam 2-armed butterfly. Rhys also gained PB’s in most of his other events! Next up was the Special Olympics 40th Anniversary Games, and the Grampian Special Olympics Squad sent out a team of cyclists & table tennis players out to Stirling to show off their talents! 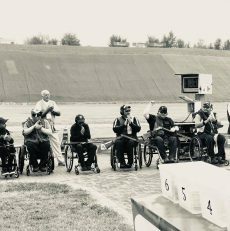 The cycling team came home with an incredible 5 gold, 3 silver & 5 bronze medals, and the team of just 4 table tennis players, led & coached by para table tennis veteran, George Keith, took home an outstanding 10 medals – 1 gold, 6 silver & 3 bronze – in a tough competition! The finale to our jam-packed August was the World Para Swimming European Championships, where Toni Shaw & Conner Morrison represented the Grampian Champions against some of the toughest competition in the world! Conner, the world record holder for the men’s SB14 100m Breaststroke, was narrowly pipped at the post by teammate, Scott Quin, in the final & had to settle for a silver medal – much to his disappointment (but to our delight in seeing Conner take home a medal)! 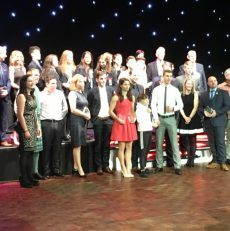 The hype and media attention surrounding Aberdeen’s Toni Shaw was absolutely justified, as the 15-year-old, competing in her inaugural event as a senior with British Swimming, took home an astounding 5 medals in the S9/SB9/SM9 classification group comprising of bronze for 100m Freestyle & Backstroke events, silver in 100m Butterfly & 200m IM events, and a well-deserved gold in the 400m Freestyle event, where she also set a new European Record and beat the current Paralympic Champion! All in all, our Grampian Champions had a busy August competing against some tough competition, but certainly rose to the occasion & did their region proud!